020 086 2699 (Br Patrick, Monastery Shop / Swedish Bitters). 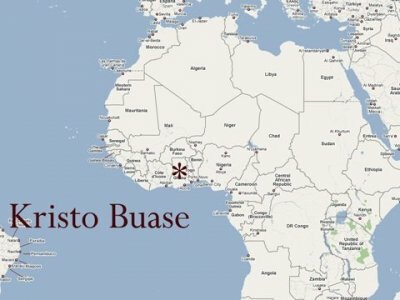 Kristo Buase Monastery is 400 km north east of Accra in the Brong Ahafo Region. It is located between the villages of Tuobodom and Tanoboase, 15 km north of Techiman on the main road to Tamale. The entrance is approximately 250 m south of the new toll-booth.